Austerity is being claimed as a “major driver of data innovation in the UK public sector” – with a claimed 54% of respondents to a new study saying they are actively using data and analytics as they seek new ideas and solutions to tackle spending cuts challenges. In addition, 91% of public sector employees are said to be benefiting from data-driven initiatives, and 26% of organisations polled saying they are already using advanced analytics techniques, from scenario planning to prescriptive/predictive analytics techniques. However, there are still definite road blocks to greater use of data – with security concerns (20%), feared data loss or breaches (13%) and GDPR (5%) cited as top concerns holding the UK public sector back from sharing data with other entities. The results are from a probe sponsored by vendor Qlik and commissioned by data leadership expo Big Data LDN. The latter’s founder, Bill Hammond, says the results show that,“These findings highlight how harnessing data is key to future of data innovation. Now is the time for public sector leaders to take action, make sure their employees are confident and well equipped to handle large amounts of data, rather than avoiding the issue because the data sets are ‘too large’. The survey was independently conducted by analysts Global Data for the pair to Market Research Council guidelines, who say interviews were conducted online and gathered the views of 100 public sector employees who use data as part of their day-to-day role. 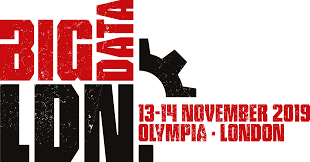 Big Data LDN (London) is an upcoming (November) free-to-attend two-day integrated conference and exhibition focusing on how to build dynamic, data-driven enterprises. Delegates learn from pioneers, experts and real-world case studies, discovering new tools and techniques, which enable them to deliver business value from successful data projects.